At Exodus Health Center, we take great pride in providing the finest chiropractic care to each and every patient. We have included information below about the different chiropractic services offered in our Kennesaw chiropractic office, but please call us at 770-420-0492 if you have any questions! We provide advanced spinal correction and chiropractic adjustments utilizing "state of the art" chiropractic techniques. Never in the history of chiropractic care have chiropractors been able to provide the level of help and expertise that is available today. Many of the newest chiropractic techniques are actually safer, more comfortable and more effective than ever before. As a chiropractor who cares about utilizing the most advanced chiropractic techniques, Dr. David Jockers and Dr. Andrew St. Bernard have years of training, expertise and experience in helping patients get to the root cause of their neck pain, low back pain, headaches, and many other health problems. Chiropractic care under a trained professional can even be used to prevent injuries and help you achieve optimal health and wellness. Did you know that kids can get adjusted too? Although it is something most people have never considered, a growing population is using chiropractic care from birth throughout life for both health challenges and prevention. Chiropractic care is a powerful way for parents to help their child heal naturally and optimally. Pediatric chiropractic does more than make your child feel good, it can actually help their body achieve balance and health. Pediatric chiropractic offers a natural treatment approach which can help resolve problems like colic pain, ear infections, constipation, through a properly functioning nervous system. After all, your nervous system controls your entire body's functioning. Dr. Shannon Good provides safe gentle and effective techniques for both children and expectant mothers. What does nutrition have to do with chiropractic care? The goal of chiropractic care is to help patients achieve total health and balance with their body, and as part of that goal we provide specific recommendations on nutritional supplements and healthy food choices. Nutritional counseling by our experienced chiropractic health professionals can assist a patient on their return to optimal health. Do you know which supplements and vitamins are good for you? Do you know how these supplements and vitamins interact with one another? At our Kennesaw chiropractic clinic, we can provide each patient with a structured nutritional program that is based on their individual needs. To sign up for our next Shopping Tour, click here! Many of our patients come to see our chiropractor to address a specific pain symptom such as back pain, neck pain or headaches. While our chiropractors will address each patient's specific condition with chiropractic care, we often find it helpful to "coach" our patients towards achieving a healthier lifestyle. For example, there may be certain activities that you should avoid or do differently to prevent yourself from unintentionally aggravating your particular health challenges. Our office holds monthly workshops to empower our members and the community to make informed decisions about their health. The goal of including lifestyle advice with a chiropractic care plan is to help each and every patient achieve the fulfilling and happy lifestyle they deserve, one that is full of the activities that are enjoyed most. We recognize that every single one of our patients is a whole person, and we use our expertise to help them reach total health and wellness. There is a saying that an ounce of prevention is worth a pound of cure. Your spinal health is no exception. Posture and spinal screenings by a trained and experienced chiropractor such as Dr. David Jockers can help reveal important health information, unlocking the door to improved health and well-being. In order to help the Kennesaw community, we provide screenings at area malls, community events, health fairs and places of employment. 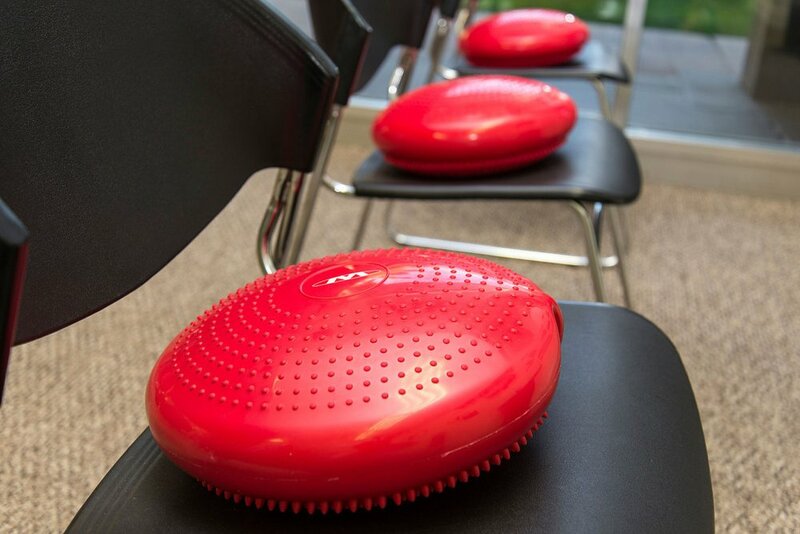 Contact us today at 770-420-0492 to arrange a screening at your event or workplace. Assists healing by raising tissue oxygen levels to normal in areas where they are reduced through illness or injury. Encourages new blood vessels to grow and carry additional blood. Increases the ability of the body’s defense mechanisms to fight infection and kill bacteria. Helps reduce any swelling that may occur around the area. Any condition which results in inflammation in the body can benefit from HBOT (1, 2, 3). 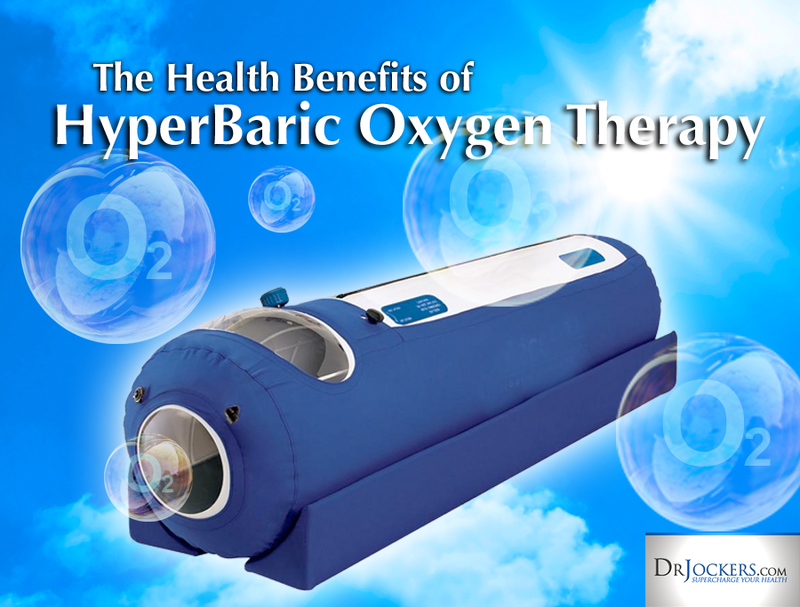 HBOT increases the dosage of oxygen and delivers more O2 to damaged areas in the body and stimulates the healing process. Oxygen is one of the most natural antibiotics and it controls over 8000 genes. A course of 20 sessions of hyperbaric therapy increases our stem cells eightfold (4, 5, 6).